I got one of the greatest phone calls today. A very dear and long time friend of mine, Matt Harris (Director of New Business Development for VitaSource), called me and asked me if our business, Abundant Health Center, would like to partner with Ben Stiller and VitaSource to help in the relief efforts for Haiti…how could I say no? 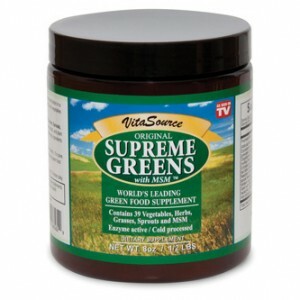 I am pleased to announce that Abundant Health Center will now be carrying VitaSource’s – Supreme Greens with MSM Powder. In our partnership with VitaSource, through the end of the year a portion of all sales will go to the Haitian Relief Effort. I am honored that our small company was asked to take a part in this. To Greg Geremesz – Founder of VitaSource – to the amazing Matt Harris and to Mr. Ben Stiller, I say thank you. Thank you for allowing us the opportunity to give back so that we can help make a difference. P.S. Be sure to watch the video all the way to the end for a good laugh between Ben and Greg.